After Eskom implemented stage 4 load shedding earlier this year – which left around 20% of the country without electricity – many of us began to panic about how we’d get through the colder months if the power outages remain this frequent. With autumn here and winter fast approaching, now’s the time to start preparing. Here are eight tips for not just surviving but thriving when the lights go out. The very first thing to do is keep an eye on Eskom’s planned schedule and follow them on social media to make sure you’re informed of any sudden announcements. If you’ve got kids, print out the schedule and stick it on the fridge so that the whole family can keep up to date. For smartphone users, download the EskomSe.... app This clever app is not only super handy for alerting you about sudden schedule changes but is also bound to make you laugh a little, too. Created by two friends in 2014, the app has grown from 2,500 active users to over 400,000 users and is now the most downloaded application on the South African iOS App store! When load shedding hits, switch off or unplug all appliances to protect against electric surges, which may happen when the power is reactivated. It’s actually a good idea to leave appliances unplugged at all times, just in case you’re not at home when the power gets cut. In addition, unplugging appliances that aren’t being used will also alleviate any power strains on the grid; if more people take this into action, we could reduce the risk of power cuts all together. There might be times when load shedding catches you off guard, but if you’re ready for it at least most of the time, then life will feel a lot less disrupted. The simplest and possibly most essential things to do include keeping your computer, iPad and phone charged, and filling a thermos flask with boiling water. It might also be a good idea to get a mobile WiFi modem and top it up with data for those load shedding times. You might also want to consider investing in a power bank for your cellphone; there are also a few power banks hitting the market that allows you to charge your computer from as well. That means you can still work on your laptop, check emails and browse the web – and fill a hot water bottle if needed. 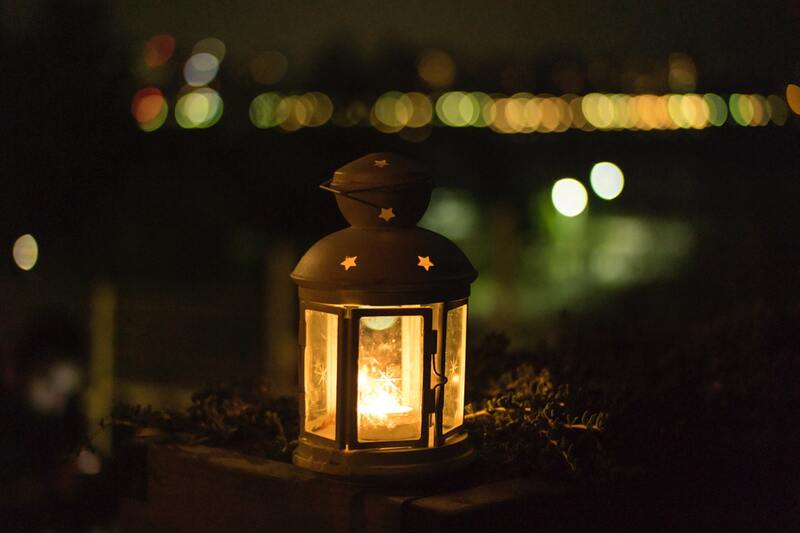 To prepare for those evening power cuts, keep candles and matches, an oil lamp, torch or battery-operated touch lights in accessible spots around your home. Don’t forget to buy spare batteries (rechargeable if possible). Solar lamps like Consol’s Solar Jars are a great idea too, but remember to bring them indoors before the scheduled power outage – no-one wants to be hunting for lamps in the garden during a cold, dark winter night. If budget allows, invest in a solar kit which will help you create, store and use power no matter if or when the load shedding begins. Finally, if all else fails, take the opportunity to remember how romantic a candlelit dinner can be! Some of the biggest concerns during winter load shedding are, of course, how to stay warm and how to cook or heat up food and water. Unless you’ve got an indoor fireplace and are willing to braai your dinner outside in the cold, then gas is the clear winner, especially for those on a budget. You can pick up gas heaters from most retail stores for around R1,000. For cooking, if you don't already have a gas stove fitted in your kitchen, then an inexpensive solution is to buy a portable one- or two-plate gas stove. To keep essential electronics running, a generator is the obvious solution. If you can’t afford to go that route, then simply look at getting a few backup batteries for things like alarm systems, garage doors and electric gates. It might also be a good idea to ask your alarm system provider for mobile panic buttons – test them fairly regularly to make sure they are working. Big family, no heating? Turn this dilemma into a fun indoor camping adventure. Erect a tent – real or makeshift – in the middle of your living room and pile everyone plus the dog inside for a cosy night of storytelling and family bonding. You may not get the best night’s sleep but it’ll remind you what it felt like to be a kid. If you haven’t already heard about this Danish concept, it’s essentially all about comfort and cosiness and creating warm atmospheres with people that mean the most to you. It’s a sensory experience that encourages letting natural light into the home and reconnecting with nature. Even if you didn’t have to face load shedding in winter, hygge is still a wonderful way to embrace the season. Prep for cold days and nights by buying fluffy rugs, blankets, slippers and cushions. Get yourself a hat, gloves, scarf and warm jacket so you can pass the load shedding time by heading outdoors for a brisk walk in nature, even if it’s freezing. Remember all those books you wish you had time to read? All those times you promised to invite friends around for a board game night? Think of load shedding as a gift of time, forcing you to slow down, connect with loved ones or switch off from the world, and possibly even just do nothing for a couple of hours.